The image is a charcoal self-portrait, drawn from memory rather than from a reflection or a photo. 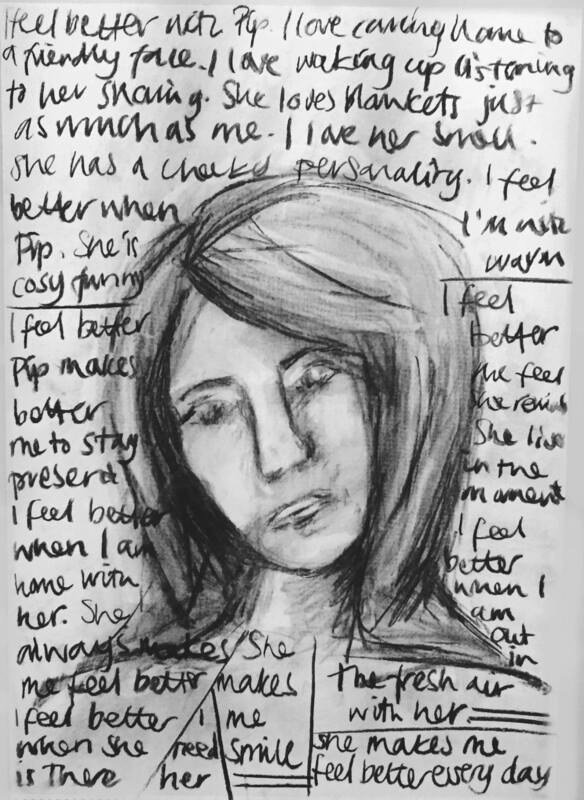 The words around the portrait are inspired by a collection of words that I created based on a separate piece based around the theme of 'I feel better when'. I listed words of all the things that made me feel better or happy. I then chose one word from that collection to create the written piece around my self portrait. The words talk about my dog and how I feel better when I'm with her. But I do think that the words could relate to the image of the female face or be interpreted in other ways by the viewer.